It all began after the separation of K’s previous band, GUNDOG, on December 31, 2004. Despite its popularity and support from MTV, GUNDOG disbanded and K then surrounded himself with already other established musicians. First is the Hispanic-Japanese guitarist PABLO, who started in the band GIRAFFE in 1999. He was then a support guitarist for FAKE? and for Takui Nakajima. The second guitarist of the group is JIN, who has produced groups such as Rotten Graffiti and Greeeen, a band in which his brother, HIDE, is the vocalist. T$UYO$HI, the bassist, began in 2000 with DRUG STORE COWBOY and has since participated in various bands, such as Def Tech. Last is the drummer, ZAX, who was in the group Falon. Once the band was formed, they began to produce songs by themselves before getting noticed quickly by the record company VAP. 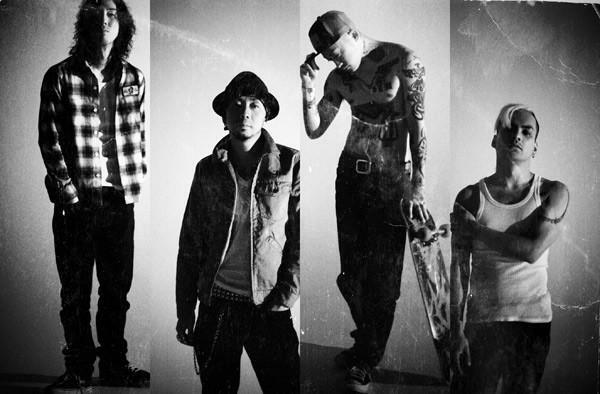 From there, they crossed to major and released their first maxi single, Drop of ink, on the 6th of December, 2006.